Tonight, the MTV Movie & TV Awards airs, and we know this year’s hostess Tiffany Haddish is going to slay. But before the actual awards air, we’ve loved seeing all the looks on the MTV Movie & TV Awards red carpet. We’re excited to see so many of our favorites vying for the golden popcorn, and we’re looking forward to seeing how favorites like Black Panther, Wonder Woman, Stranger Things and Riverdale stack up against the competition. 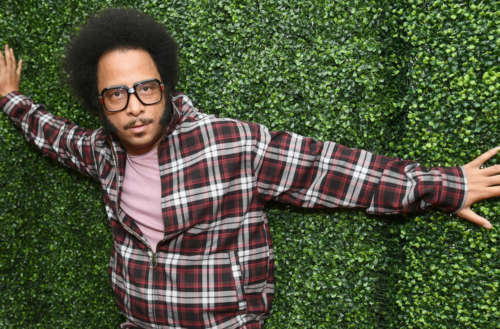 But it’s these five celebs who really embody the free spirit of the MTV Movie & TV Awards. From Chadwick Boseman to Finn Wolfhard, they’re showing us all how it’s done. A little bit of bling never hurts. EJ Johnson, son of legendary basketball player Magic Johnson, dazzles us on the red carpet (as always) with Saint Laurent’s over-the-knee crystal boots. 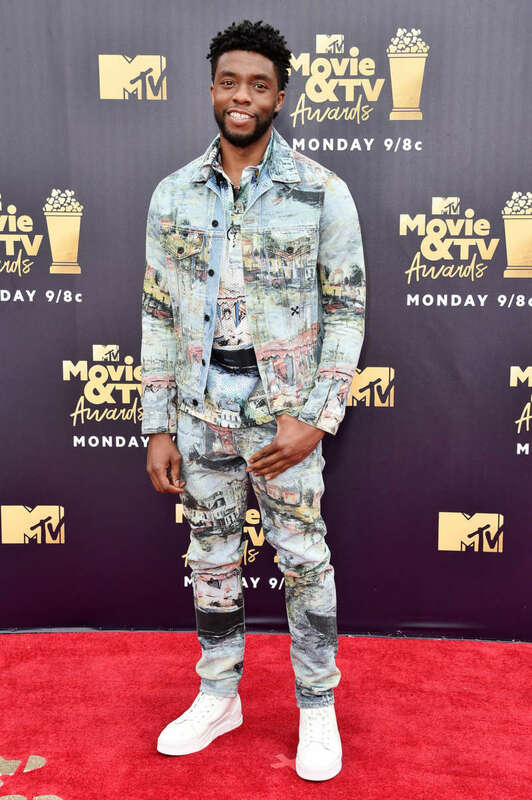 Chadwick Boseman has his red carpet look down to a T. And clearly Boseman, the star of Black Panther, clad in this Off/White ensemble, is able to make a bold graphic print like this look chic and effortless. 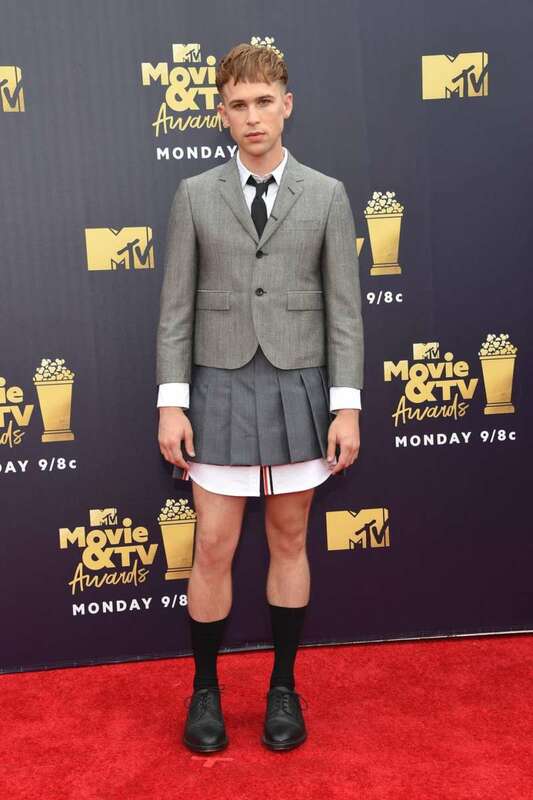 The out actor and the star of 13 Reasons Why gives us Sailor Moon realness in this Thom Brown suit. No pants required. 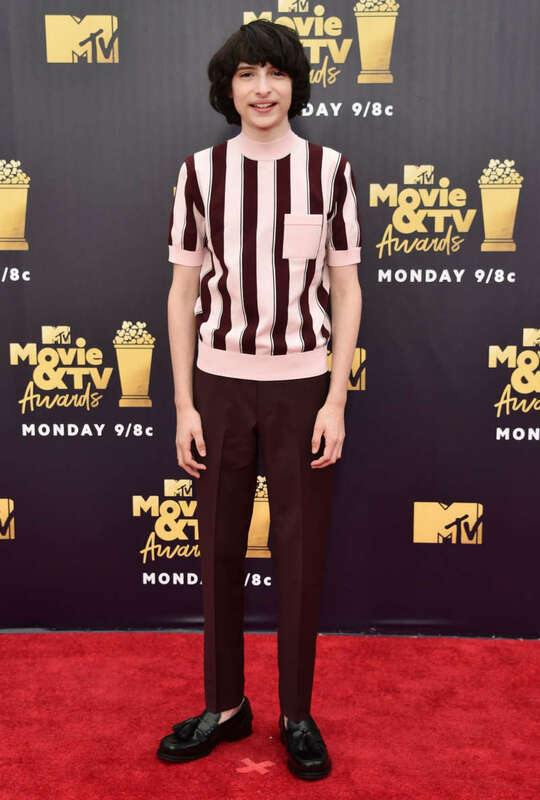 Finn Wolfhard, one of the young protagonists of Stranger Things, looks not only age-appropriate in this Prada ensemble but particularly hip for his age. Especially with those tassel loafers. East meets West meets traditional meets futuristic. Keiynan Lonsdale, star of Love, Simon, gives us something unique in this gender-fluid outfit, and we are totally here for it. Who sported your favorite MTV Movie & TV Awards red carpet look this year?